The National Museum of Denmark is a partner in the EU-FP7 research project NANOFORART which focuses on the use of nano-materials in the preservation of cultural heritage. The National Museum has contributed to the project by testing systems developed for conserving wall paintings. 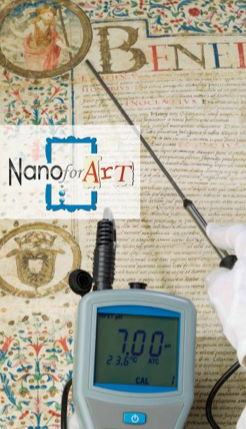 In order to disseminate the knowledge gained in the NANOFORART-project and to communicate possible advantages of utilizing nano-materials in wall painting conservation we will organise a workshop on the premises of the National Museum in Brede June 12, 2014. The workshop will deal with the consolidation of wall paintings with “nanolime” and the removal of degraded polymeric consolidants from wall paintings with the aid of micro-emulsions and hydrogels. Tutors: Dr. David Chelazzi, CSGI (Research Center for Colloids and Nanoscience) Florence; Isabelle Brajer, Nationalmuseet; Mads Chr. Christensen, Nationalmuseet. The School will be directed by Margarita Gonzàles Pascual and Teresa Valle Fernàndez and will be coordinated by Rocìo Salas. 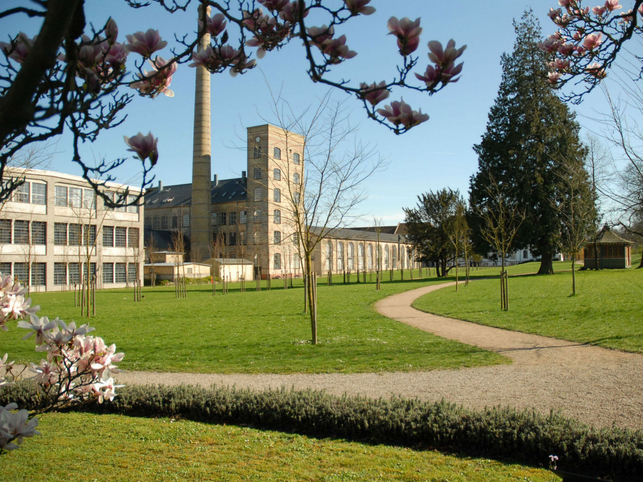 The lessons will be held in the Monasterio de Santa Marìa la Real in Najera, La Rioja (Spain), on 6th-8th of May 2014. The registration to the school is now open. Please follow this link. Besides IPCE members, scientists from other Nanoforart partners will contribute to the lessons with their experience in the field. In particular, Dr. Rodorico Giorgi (CSGI) and Dr. Laura Filloy (MNAH) will present some aspects of their work. For further information, please download the complete program of the school. 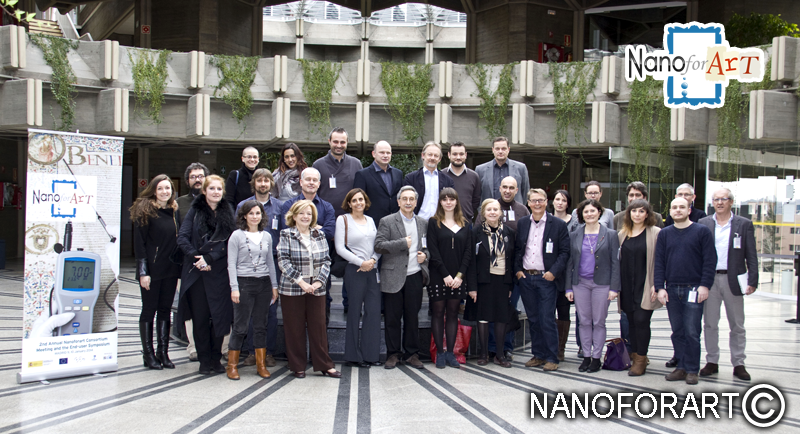 Held in Madrid on January 9 2014, the 2nd NANOFORART Annual Consortium Meeting has provided a fundamental opportunity for information exchange, transfer of knowledge and expertise between the project partners. Stimulating discussion has been carried out and proposals have been presented involving all the project Work Packages. The wide project productivity, in terms of developed systems for consolidation, pH control and cleaning of works of art, has been fully examined. As both conservators and scientific institutions are carefully assessing the formulations devised in the first year for the preservation of wall paintings, stones, paper and canvas, forthcoming challenges involve the design of systems for the conservation of highly sensitive substrates such as parchment and leather. Characterization of nanomaterials and evaluation of their safety provide a constant and fundamental support to determine the feasibility of the produced systems. As a result, the project is building up a new palette of restoration tools for end users. The Instituto del Patrimonio Cultural de España (IPCE) and SIT Grupo Empresarial SL (SIT) organized a symposium for end-users, which will take place on the 10th of January 2014 in Madrid, Instituto del Patrimonio Cultural de Espana, Salon de Actos. For further information, please, download the symposium program. 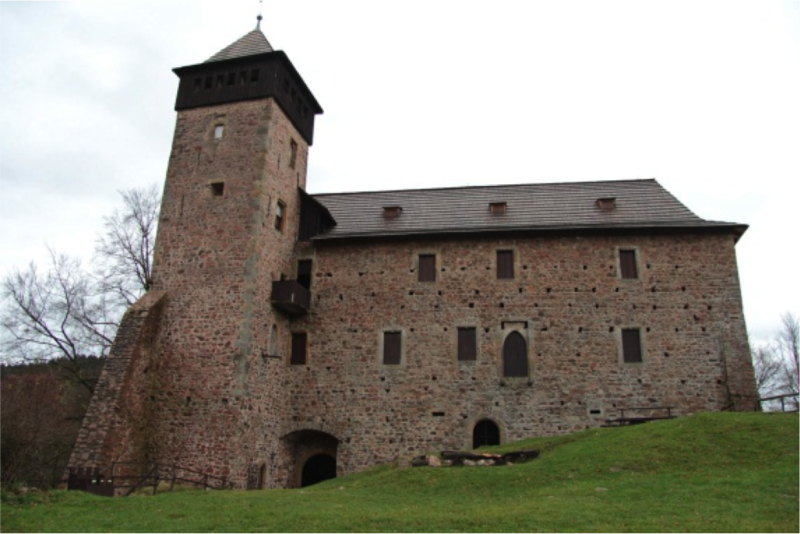 "Nano Materials for the Conservation and Preservation of Movable and Immovable Artworks"
The conference will take place on the 5th of December in Litomysl, Czech Republic. For further information, please, download the conference program.